VIP Memberships are no longer available for the 2018/2019 Season. Stay tuned for information about how to become a VIP Member in 2019/2020! 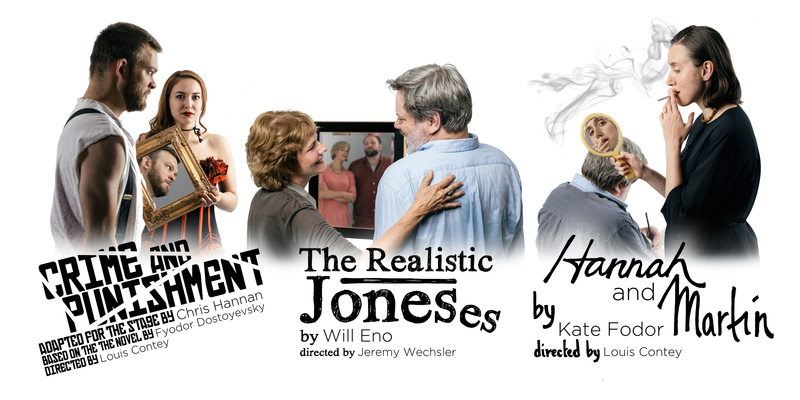 TICKETS FOR THREE COMPELLING PLAYS featuring the work of SGT’s award-winning ensemble. COMPLETE FLEXIBILITY to choose any performance. RESERVED SEATS that are only available for VIP members. You choose your ideal seats at both shows and they’re reserved until curtain. CONCIERGE-STYLE RESERVATIONS made personally through the SGT office with complimentary exchange privileges. EXCLUSIVE INVITATIONS to eavesdrop on a rehearsal and meet the cast. TRAVELER “REPEAT SEATS” WITH OUR COMPLIMENTS so you can see the show a second time for free. PRIORITY ACCESS to our Satellite Series staged readings, the Protégé show, and other special events. ACCESS TO SPECIALLY PRICED TICKETS for your friends throughout the season. Foundation, and The Robert J. & Loretta W. Cooney Family Foundation.